GPSC Recruitment 2019 - Apply Online for 1162 Assistant Engineer, Asst Professor, State Tax Inspector & Other Posts in Gujarat. 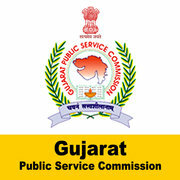 Online Applications are invited by Gujarat Public Service Commission (GPSC) from 18 Mar 2019 01:00 PM to 18 Apr 2019 01:00 PM for 962 vacancies. 23 i) a postgraduate degree with second class with Statistics or Applied Statistics or Mathematical Statistics or Economics or Applied Economics or Business Economics or Econometrics. ii) a degree with second class 55% marks with Statistics or Applied Statistics or Mathematical Statistics or Economics or Applied Economics or Business Economics or Econometrics. 285 A degree in Engineering (Civil) or Technology (Civil) obtained from any of the Universities. ii) a Degree in Mechanical engineering or Automobile Engineering of a recognized University or deemed university. 18 i) A degree of Bachelor of Medicine and Bachelor of Surgery of any of the Universities established or incorporated by or under the Central or State Act in India. ii) Post-Graduate Diploma in respective subject. (2) Possess adequate knowledge of Gujarati or Hindi or both. Eligible candidates may apply online at GPSC's website (direct link is given below) from 18 Mar 2019 at 01:00 PM to 18 Apr 2019 till 01:00 PM. Go to "Advertisement" & Select the desired post.